In true @back2rootsretreats style, you can expect four days of adventuring from the outside-in, surrounded by the most breathtaking natural beauty. 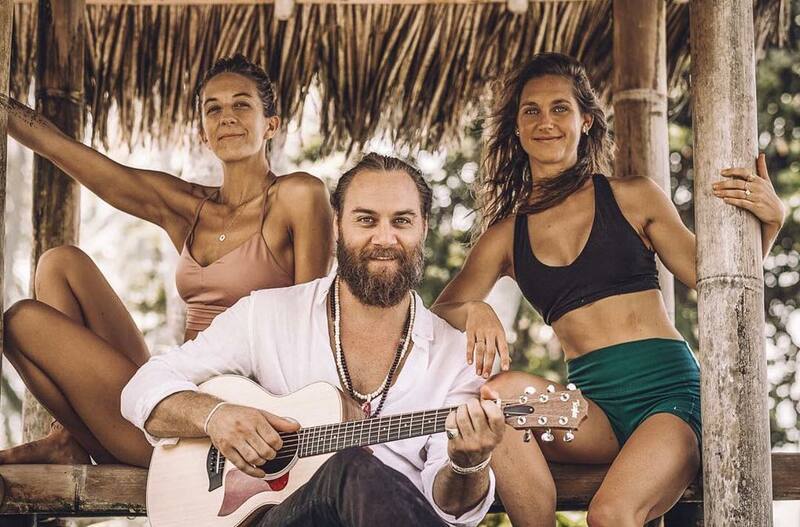 The full spectrum experience will include daily morning meditation and asana practices, workshops including ancient yogic philosophy, AcroYoga, Inversions and Thai massage, creativity and music. Supported by musician Benny Holloway’s stirring and evocative tones. Benny’s music is described as sonic acupuncture, penetrating the deepest layers of body and mind, inviting the listener on an introspective journey to the heart. A glimpse of the beautiful Yogic Philosophy led by @brookeellistonyoga and @larazilibowitz : “Try listening not with your ears but with the fleshy soles of your feet, and notice what the earth is saying with her skin. Try seeing not with your eyes but with your heart, and glimpse what radiant riches exist when you cast your vision from the very seed of your Being. Try breathing not from your mouth but with every pore on your body, and notice how the body’s intelligence rides along the breathwave, uniting all rivers of You into the unbroken river of ecstacy within.” A deeply moving, beautiful, connective (re)treat not to be missed!